At first glance, it's a great new product for hearing impaired people. 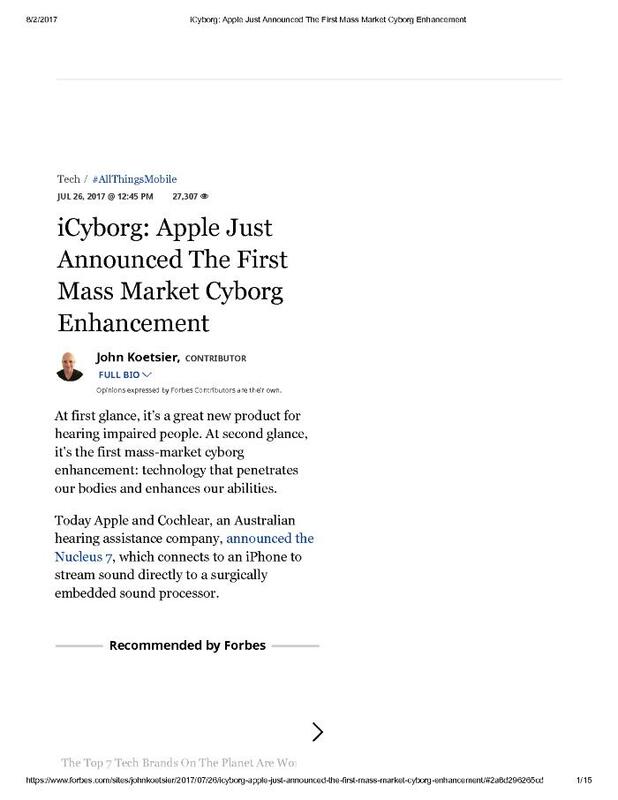 At second glance, it's the first mass-market cyborg enhancement: technology that penetrates our bodies and enhances our abilities. Today Apple and Cochlear, an Australian hearing assistance company announced the Nucleus 7, which connects to an iPhone to stream sound directly to a surgically embedded sound processor.